Mizuno’s golf clubs combine craftsmanship and technology for golfers internationally. 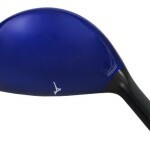 Luke Donald from Britain and Stacy Lewis from the USA use Mizuno clubs on the professional tour circuit. The JPX-850 hybrid delivers more energy from the swing to the ball for increased distance. The large club head lowers the head’s centre of gravity (CG) and the Shock Wave sole enables the entire club head to contract and expand on impact let’s the player play a good, long shot. 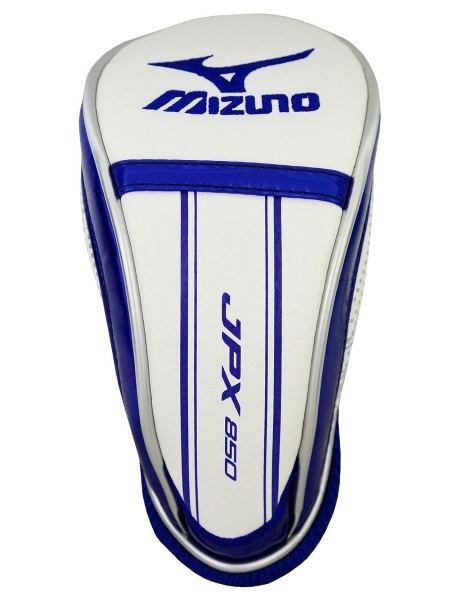 The glossy, electric blue crown of the JPX-850 hybrid might not suit everyone’s taste, but it’s good looking and will stand out in your bag. The head is a medium size for a hybrid. The black face contrasts nicely with the bright blue paint. The ladies club has has much subtler pink markings on a generally black head. The white mizuno logo on the crown is a good alignment aid. The Motore shaft blends well with the colour scheme. The club comes complete with a headcover. The unique part of the JPX-850 is the Shockwave Sole. Looking similar to slot technology, the sole has a series of three ridges that step back from the face towards the mid section of the sole. Hybrids are used to get out of rough situations so the sole does accumulate with mud and debris, but it’s usually easy to clean with a damp cloth. With a slightly higher than normal swing weight, the 850 feels solid and strong. Impact at good contact produces a pleasant tone that is clear and metallic. The club is a good alternative to 3, 4 and 5 irons. 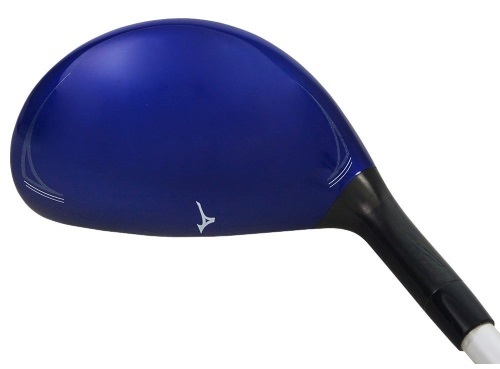 If you struggle with ball height, you may need more help than the JPX-850 offers. With a mid-launch and mid-spin profile, ball flight was high from the tee and mid-high at best from the turf. Therefore, stronger players should enjoy this club as there is no ballooning in flight. Average players will enjoy this club, but those with higher handicaps may find better options for their game. 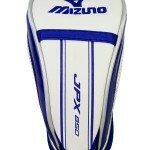 It is not possible to adjust the loft of the Mizuno JPX-850. Mizuno’s marketing of the Shockwave Sole states that ball speeds will be “highest from low on the face to match impact point,” and tests prove the fact. 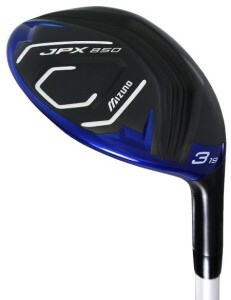 If you have an issue missing left with hybrids, the JPX-850 is worth a try. A low-face miss (not topped/bladed) produced near identical carry distance to a centre impact as there is no loss of ball speed, slightly lower launch angle and slightly higher spin. High face impacts were still in an acceptable range, with distance loss of 12 yards due to a higher, weaker flight. X 73g 3.1 Mid .370" .605"
S 70g 3.5 Mid-High .370" .605"
R 64g 3.8 Mid-High .370" .600"
A 60g 4.1 High .370" .600"
LADIES 50g 5.5 High .335" .590"